August 10, 2018 – When the Las Conchas wildfire burned more than 150,000 acres of forest in the Jemez Mountains, the forest itself shifted. The 2011 fire killed trees, like ponderosa mines and other conifers, and new trees couldn’t grow back. Seed sources were destroyed—and the forest was warmer, as a result of warming over the past four decades. 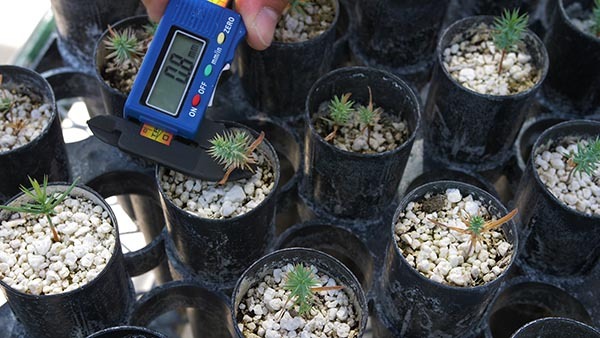 Today, the University of New Mexico’s Matthew Hurteau is trying to understand how the landscape has changed, and which species of trees will be able to survive in the future. It’s just one way scientists are trying to connect science and policy-making. On this month’s episode of Our Land, Hurteau takes us back to the burn scar in the Jemez and to the greenhouse on the roof of UNM’s Department of Biology.